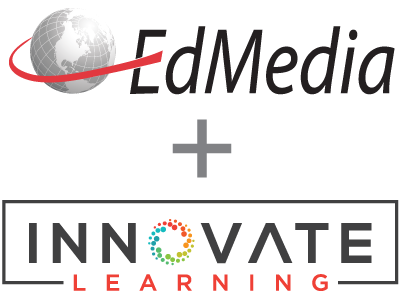 R2D2 method—read, reflect, display, and do—is a new model for designing and delivery distance education, and, in particular, online learning. Such a model is especially important to address the diverse preferences of online learners of varied generations and Internet familiarity. The first component primarily relates to methods to help learners acquire knowledge through online readings, explorations, and podcasting. As such, it addresses verbal and auditory learners. The second component of the model focuses on reflective activities such as online blogs, reflective writing, and exams. In the third quadrant, visual representations of the content is highlighted virtual tours, timelines, animations, and concept maps. Fourth, the model emphasizes what learners can do with the content in hands-on activities including simulations, scenarios, and real-time cases. When thoughtfully designed, content delivered from the R2D2 perspective should be more engaging and enriching for learners. Bonk, C.J. & Zhang, K. (2006). The R2D2 Model of Online Instruction: A Mapping Out of the Components. In E. Pearson & P. Bohman (Eds. ), Proceedings of ED-MEDIA 2006--World Conference on Educational Multimedia, Hypermedia & Telecommunications (pp. 2010-2015). Orlando, FL USA: Association for the Advancement of Computing in Education (AACE). Retrieved April 19, 2019 from https://www.learntechlib.org/primary/p/23284/. Bonk, C.J., & Dennen, V.P. (1999). Teaching on the Web: With a little help from my pedagogical friends. Journal of Computing in Higher Education, 11 (1), 3-28. Carr, S. (2000, February 11). As distance education comes of age, the challenge is keeping the students. The Chronicle of Higher Education, A39-A49. Retrieved June 6, 2005, from http://chronicle.com/prm/weekly/v46/i23/23a00101.htm. Felder, R.M., & Brent, R. (2005).Understanding Student Differences. Journal of Engineer Education, 94(1), 57-72. Frankola, K. (2001). Why online learners dropout. Workforce, 80, 53-58. Jost, M., Mumma, P., & Willis, J. (1999). R2D2: A constructivist/interpretivist instructional design model. In Proceedings of the Society for Information Technology and Teacher Education International Conference 1999, 1489-1494. Norfolk, VA: AACE. Kolb, D.A. (1984). Experiential learning: Experience as the source of learning and development. Englewood Cliffs, New Jersey: Prentice-Hall. Lawrence, G. (1993). People types and tiger stripes: A practical guide to learning styles, (3rd ed.). Gainesville, FL: Center for Applications of Psychological Types. McCarthy, B. (1987). The 4MAT system: Teaching to learning styles with right/left mode techniques (Revised ed.). Barrington, IL: EXCEL. Oblinger, D. (2003). Understanding the “new students”. Educause (July/August 2003). 37-47. Oliver, R., Omari, A., & Herrington, J. (1998). Exploring student interactions in collaborative WorldWide Web computer-based learning environments. Journal of Educational Multimedia and Hypermedia, 7 (2/3). 263-287. Pittenger, D.J. (1993). The utility of Myers-Briggs type indicator. Review of Educational Research, 63, 467-488. Rosenberg, M.J. (2001). E-Learning: Building Successful Online Learning in Your Organization. New York, McGraw Hill. Pedersen, D. (2005). Online development made easy—at least easier. Distance Learning, 2 (3), 22-23.